Last year in October, during Diwali we published the Top 5 gaming laptops one can buy during the festive season and we honestly admit that we have got a very good response from people from all over India, moreover, the articles were also featured on RoughPolish Magazine Volume 3. So, we are back with Top 5 gaming laptops under Rs. 50k, which you may buy for gaming needs, but we also kept in mind one more thing. This time, along with considering the performance we will also consider the mobility, which is a much-required thing for people who love to play on the go. So, let’s now waste more time and move on to our listing of Top 5 Gaming Laptops Under Rs. 50000 in India. This is the first one in our list of Top 5 gaming laptops under Rs. 50,000, and it should be at the first, not just because it has got great specs, all its specs are the latest in the industry and I am ready to bet on it if anyone asks me for a great laptop under Rs. 50,000. And the specs are not enough, you will also get 1 year of Accidental Damage Protection after you purchase and register your product on HP. Okay, now let’s move on the detailed information and my take on the laptop. The laptop is a benchmark setter right now in the market. It has a 15.6 inch HD LED Backlit BrightView Widescreen Display. In case of processor, the laptop is powered by a 5th Gen Core i5 clocked at 2.2 GHz with Turbo Boost Up to 2.7 GHz coupled with 8GB of RAM, which can be further expanded to 16GB. It has got 1TB of HDD and also houses an optical drive. That’s not all, the laptop has got the latest NVIDIA GeForce 830M with 2GB of graphics memory, also it has got Beats Audio for sound enhancement which will provide great multimedia and gaming experience. It comes pre-loaded with Windows 8.1 (64-bit). That’s not the end, it is rock solid in terms of connectivity also with two USB 3.0 ports and one USB 2.0 port, also it houses HDMI port, Wi-Fi, Bluetooth. Also, it has a lock port. This high-end gaming laptop is available for just Rs. 49,774 on Flipkart and Rs. 52,720 on Amazon. Lenovo Z50-70 Notebook is the next one, which deserves to be on the second place on our list. The notebook looks extremely beautiful and at the same time, the notebook packs enough power to deliver high performance and a good gaming experience on the move. The laptop has a 15.6 inch full HD display (1920 x 1080 Pixels). The laptop is powered by 4th Gen Intel Core i5 processor (1.7 GHz with Turbo Boost Up to 2.7 GHz) coupled with 4GB RAM, which you can expand up to 16GB. The laptop also houses a mammoth 1TB of HDD memory for storing all your favorite games, movies, and other kinds of stuff. The laptop has a dedicated Nvidia GeForce GT820M having 2GB of dedicated graphics memory, which is powerful enough. The laptop runs Windows 8.1 (64-bit) out of the box. Connectivity options include BlueTooth, Wi-Fi, card reader, USB 2.0 and 3.0 ports. 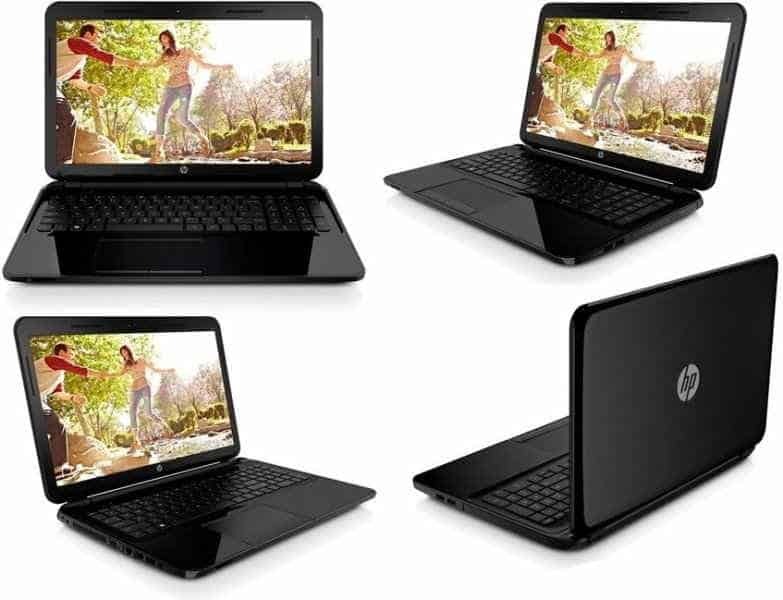 The laptop is powerful, stylish and is an extreme value for money product. It is available for just Rs. 46,990 on Flipkart. Cons: We didn’t find any!!! This laptop from Dell is a perfect example of budget vs. performance. It is probably one of the best gaming laptops under Rs. 50,000 after Lenovo Z50-70. Though the specs are almost similar, the laptop lags a little behind Lenovo Z50-70 in case we keep the pricing in mind. However, the laptop is powered by 4th Gen Core i5 processor clocked at 1.7 GHz with Turbo Boost up to 2.7 GHz and 8 GB of RAM. The laptop has got a bright and beautiful 15.6 inch HD LED-backlit display, in case of storage it holds a 1TB HDD for all your storage needs. Dell Inspiron 3542 comes with Windows 8.1 (64-bit) preloaded and the last part, graphics- it houses an NVIDIA GeForce 820M GPU to turbocharge your gaming experience. In case of connectivity BlueTooth, Wi-Fi, USB 2.0 and 3.0 ports and it also has an optical drive. 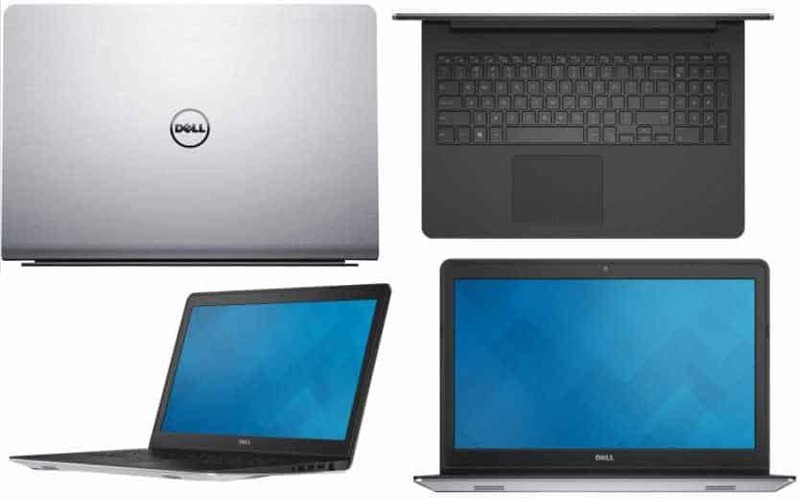 Dell Inspiron 3542 is available for just Rs. 48,790 on Flipkart. If you need a rock solid gaming laptop under a tight budget of Rs.50,000 this is perfect for you. The Dell Inspiron 5547 is powered by 1.7 GHz 4th Gen Core i5 processor which is capable of Turbo Boost up to 2.7 GHz, coupled with 8GB of RAM. The laptop has a 15.6 inch HD LED Backlit Display which gives a very good gaming and multimedia experience on the go. For gamers, dedicated graphics is very important and Dell has provided AMD Radeon HD R7 M265 GPU with 2GB graphics memory. The laptop comes preloaded with Windows 8.1 64-bit so that you can just put the laptop out of the box and start exploring. The laptop has two USB 3.0 and one USB 2.0 ports, 5-in-1 card reader, and Wi-Fo connectivity, but as nowadays optical drives are not so used, Dell removed this and tried to make it compact. The battery backup is far above average and provides a good backup. Also, at the same time, the beautifully designed backlit keyboard adds another point to its beautiful design. This powerful yet stylish laptop is available for just Rs. 49,490 on Flipkart. But, it is a little overpriced if we compare with Lenovo Z50-70, so we are keeping it on the 2nd place in our list of Top 5 gaming laptops under Rs. 50,000. This laptop is perfect for gamers who wanna grab a good laptop for playing games, under a little lower budget than all of the above laptops mentioned. It has 15.6 inch BrightView LED Backlit Widescreen display having a resolution of 1366 x 768 pixels. The laptop is powered by Intel Core i5 5th Gen processor clocked at 1.7 GHz with Turbo Boost up to 2.7 GHz, for multitasking made easier with 8GB of RAM, along with 1TB of HDD for storage. For gaming, it has got a robust Nvidia GeForce GT820M having 2GB of graphics memory. Though all of the above laptops come with Windows 8.1 out of the box, this one comes with free DOS, however, the system architecture is 64-bit, so that you can get the best experience with power and performance. In case of connectivity, it comes with USB 2.0 and 3.0 ports, Wi-Fi, Bluetooth and also, for security it has a lock port. This amazing value for money gaming laptop is available for just Rs. 43,100 on Flipkart. So, here was our pick of the Top 5 gaming laptops under Rs. 50,000 in India for this month, hope you will get some idea about which one to pick or which one is the best value for the price. However, all the prices mentioned here may change depending on your location, time and other factors. We will try to update the prices from time to time and will also publish the same from the next month in many other categories to help people choose the best laptops and other gadgets. In case of any queries or complaints, you can comment below, or connect with us on social media. You can also check out some of our other Top 5 articles in various fields here. Previous articleXiaomi Mi4 16GB, 64GB price drop in India: what’s the reason?